In the same year that he became widely recognized as the NFL’s best cornerback, Jalen Ramsey is apparently gunning for another title as the game’s preeminent trash-talker. 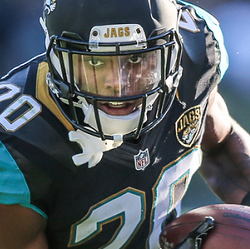 Last season, Ramsey’s second as a professional, he was voted first team All-Pro and a Pro Bowl starter after racking up 63 tackles, four interceptions and 17 pass breakups. Ramsey and A.J. 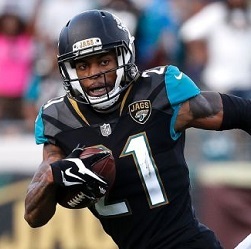 Bouye formed the league’s top cornerback tandem (Bouye was also a Pro Bowl starter), helping the Jacksonville Jaguars win the AFC South and advance to the AFC Championship game. 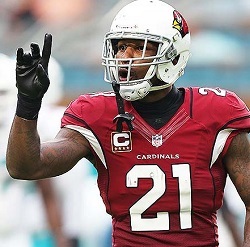 The parallels in the careers of superstar cornerbacks Patrick Peterson and Aeneas Williams are adding up the longer Peterson remains with the Arizona Cardinals. As Williams built the majority of his Hall of Fame career with the Cardinals, his individual accolades — six of his eight Pro Bowl nods, four of his five All-Pro nods — greatly outpaced his team’s success. The Cardinals made the playoffs just once in Williams’ 10 seasons with the squad, and won just one playoff game. A.J. Bouye either played the contract-year game brilliantly, or his emergence as an elite NFL cornerback just happened to come at the perfect time. After three years as a backup with the Houston Texans, Bouye shined in his first year as a starter in 2016, which was also his last year under contract. He parlayed that one impressive season into a lucrative free-agent deal with the Jacksonville Jaguars worth a reported $67.5 million over five years. 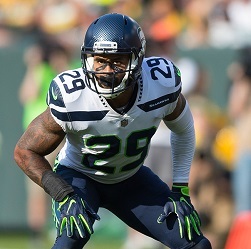 With this offseason’s expected but early retirement of strong safety Kam Chancellor, and the surprising release of cornerback Richard Sherman, suddenly free safety Earl Thomas was the last man standing from the Seattle Seahawks’ original “Legion of Boom” secondary. The LOB was the heart, soul and soundtrack of the 2010s’ Seahawks squads that made five straight playoff appearances, two Super Bowl appearances, and won Super Bowl XLVIII win a rout of defensive dominance against the Denver Broncos. Harrison Smith always seems to be around the football, which is impressive considering that he often lines up farther away from it than anyone else on the field. 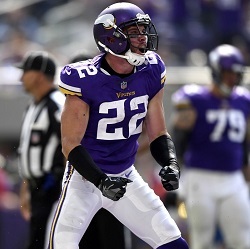 The Minnesota Vikings’ free safety notched 78 tackles (seven tackles-for-loss), 1.5 sacks, five interceptions and 12 pass breakups in the 2017 regular season, and recorded another 13 tackles and a sack during the team’s playoff run to the NFC Championship game. Darius Slay’s breakout season happened a whole year after it was originally scheduled. In 2016, the Detroit Lions signed Slay to a four-year, $48.1 million contract extension, making him one of the NFL’s highest-paid cornerbacks. He proceeded to have a good season, helping the Lions make the playoffs, but not great. 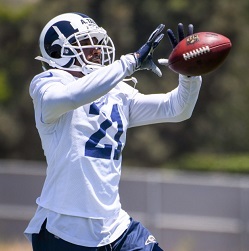 It’s not like the Los Angeles Rams were a bad defensive team last season. They ranked 12th out of 32 NFL teams in fewest points allowed (20.6 ppg) and 13th in fewest passing yards per game (217.2 ypg), helping them win the NFC West division title with an 11-5 record. The Minnesota Vikings have arguably the NFL’s best defense. Last season, they led the league in fewest points allowed (15.8 ppg) and fewest yards allowed (275.9 ypg), and ranked second in fewest rushing yards allowed (83.6 ypg) and second in fewest passing yards allowed (192.4 ypg). An argument within that argument that may be more even interesting is just who is the Vikings’ best defensive player. 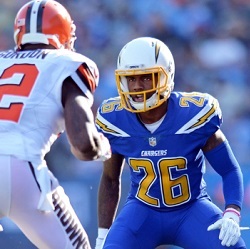 After leading the NFL in interceptions in 2017 with seven picks, Casey Hayward entered the 2017 season vying for the unofficial title of the league’s best cornerback. The Los Angeles Chargers star played well enough to stay in that competition, and moved up five spots to No. 59 on this year’s edition of the NFL Network’s Top 100 player ranking. Usually, it’s better for a pro athlete to play for a big-market or high-profile team if they seek the awards and accolades that come with individual excellence. The difference between being underrated and properly rated (or even overrated) can often come down to location and the logo on one’s uniform. 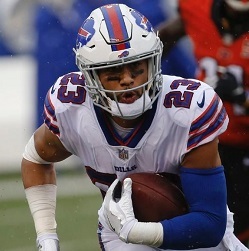 Defensive back Micah Hyde has gone against the grain in that regard.